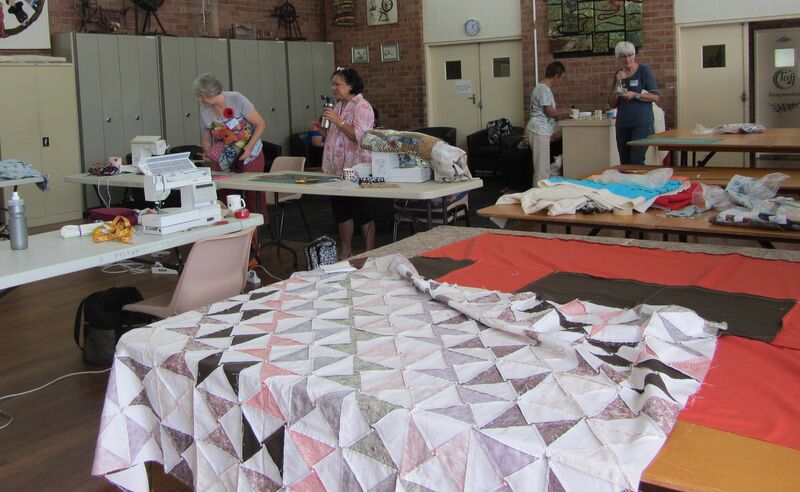 The Community Quilting Bee last Sunday had a smaller attendance than usual, with 16 ladies (probably due to long weekend) but was very productive, with lots of tops and backings finished off and many sandwiched ready for someone to quilt. Another successful and fun day. 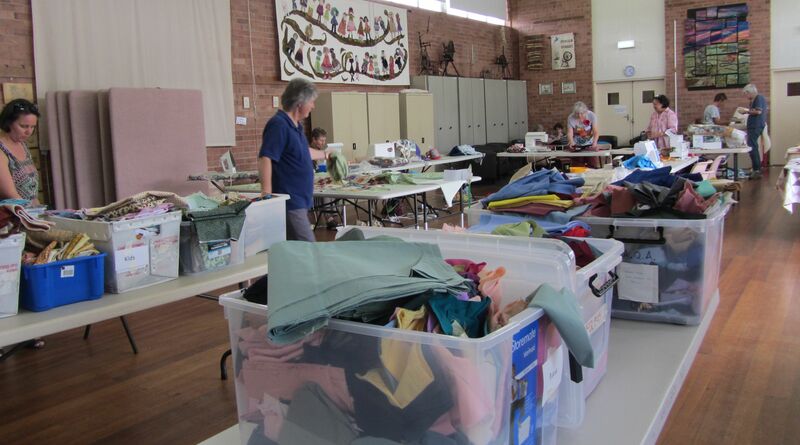 And of course we are going to try something a bit different for the next Community Quilts Bee due in June – a Friday evening (10th June) – with a bit of wine and cheese to help the sewing along. Look out for more about this next Bee closer to the time. This entry was posted in Community Quilts, Groups. Bookmark the permalink.